Heilbronn is a city in northern Baden-Württemberg, Germany. In 1940 allied air raids started and the city and its surrounding area were hit about 20 times with minor damage. On September 10, 1944 a raid by the allies targeted the city and, specifically, the Böckingen train transfer station. 281 residents died as a result of 1,168 bombs dropped that day. The city was carpet-bombed from the southern quarter all the way to the Kilianskirche in the centre of town. The church burnt out. 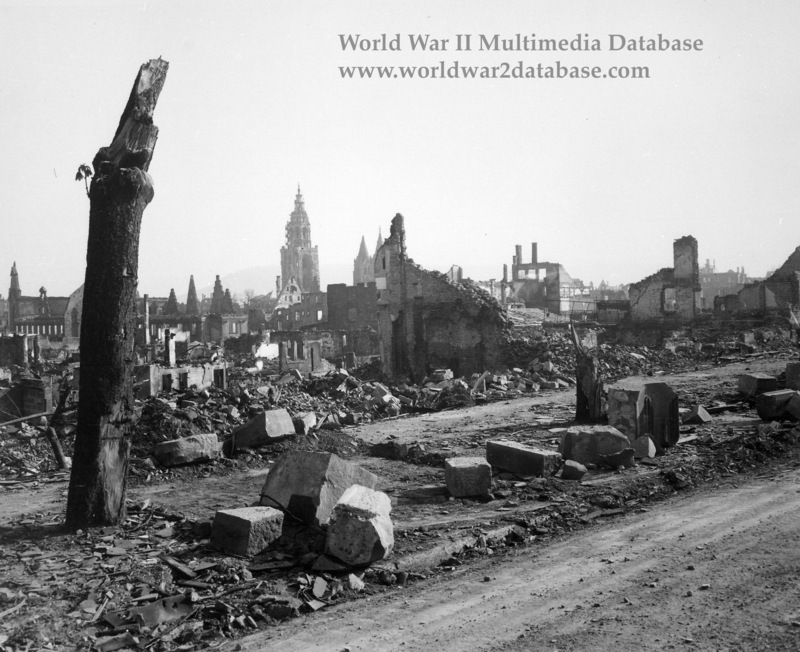 The catastrophe for Heilbronn was the bombing raid on December 4, 1944. During that raid the centre of town was completely destroyed and the surrounding boroughs were heavily damaged. Within one half hour 6,500 residents perished. Of those, 5,000 were later buried in mass graves in the Ehrenfriedhof (cemetery of honor) in the valley of the Köpfer creek close to the city. To this day, a memorial is held annually in memory of those that died that day. As a result of the war Heilbronn's population shrank to 46,350. After a ten-day battle with the advancing allies over the strategically important Neckar crossings World War II ended for the destroyed city on April 12, 1945 with occupation by US troops. Richard Drauz was the Heilbronn district NSDAP leader since 1932. Drauz took time for numerous court-martials while on the run from the allies and was hanged on December 4, 1946 in Landsberg because he ordered executions of American prisoners of war in March of 1945.